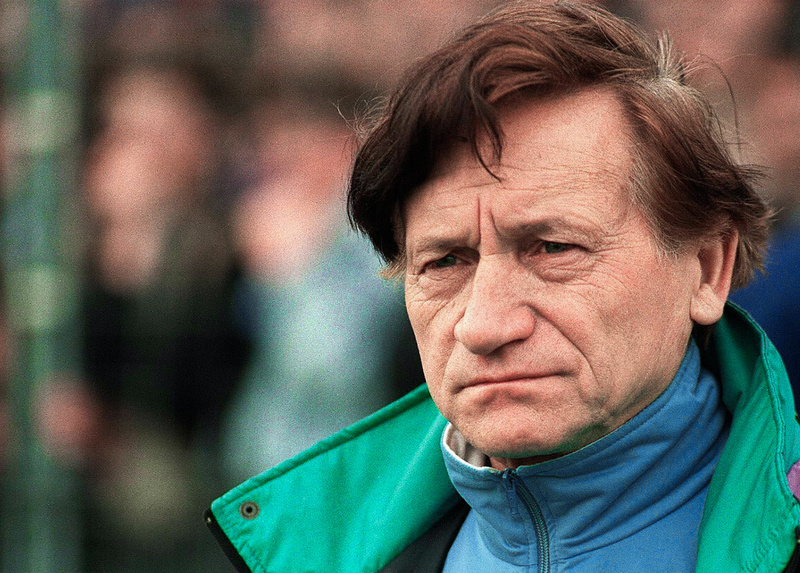 Ask a follower of Belgian football and there’s a fairly good chance they’ll tell you that Raymond Goethals is one of the greatest coaches to hail from the land of the Rode Duivels. Having managed two of the country’s biggest sides in Anderlecht and Standard Liège, as well as the national team, Goethals won the Belgian league twice, the Belgian Cup, the Belgian Super Cup, the Cup Winners’ Cup and two European Super Cups. He also took the national team to third place at Euro 72, the crowning achievement of his eight years in charge. Indeed, he is so revered in his homeland that he placed 38th in a 2005 poll of the greatest Belgian of all time. Outside of his native Belgium, Goethals is best known for becoming the first and to date only man to lead a French club to European Cup victory, as his Olympique Marseille defeated Fabio Capello’s legendary AC Milan side in the inaugural 1993 Champions League final. Yet, despite these considerable sporting achievements, Goethals remains an under-discussed, perhaps underappreciated, figure among a wider European audience. Indeed, very little has been written on the Belgian outside of certain circles, a man whose name is associated with scandal as much as it is with sporting triumph. Born in the Vorst area of Brussels, Raymond Goethals’ journey began in 1940 when, at the age of 19, he signed on as a goalkeeper at Daring Club Bruxelles. Following seven years at the capital-based side, he would spend the remainder of a rather unspectacular playing career at some of Belgium’s less glamorous clubs, retiring in 1957. Goethals would immediately make the move into management, taking over at RFC Hannutois in the same year. He would work his way to Sint-Truidense in 1959, the club where he would begin to make a name for himself. Despite having access to considerably fewer means than the country’s leading clubs, Goethals guided Sint-Truiden to second place in the Belgian top-flight in 1966, a respectable feat. After seven years at the helm, this achievement was enough to earn him the role of assistant manager with the national team. After just two years, Goethals took the reins from head coach Constant Vanden Stock, who left the role after an unspectacular decade during which Belgium had failed to qualify for a major tournament. Under the ambitious Goethals, however, the Rode Duivels saw an almost immediate improvement in their fortunes, qualifying for the 1970 World Cup and ending a 16-year wait in the process. Led by prolific Anderlecht forward Paul Van Himst, Belgium placed third in their group behind Mexico and the Soviet Union, though the side did manage their first World Cup finals victory – a 3-0 win over El Salvador. Goethals would repeat the trick two years later, guiding Belgium to their first ever European Championship. Qualification was achieved in impressive style, defeating reigning champions Italy, a side that featured the talents of Gigi Riva, Sandro Mazzola and Giacinto Facchetti, 2-1 over a two-legged playoff. Belgium finished third in the four-team event, defeating Hungary to claim the bronze medal. It was during this time that Goethals developed a reputation for tactical excellence. His Belgium side became renowned for their defensive, dogged style of play and wry execution of the offside trap, a system Goethals had developed back at Sint-Truiden after it had been popularised by Anderlecht coach Pierre Sinibaldi during the 1960s. Though he was variously nicknamed the Wizard and the Magician throughout his career, it is Goethals’ most enduring moniker, Raymond la Science, that best epitomises his approach to the game and the respect it earnt from peers and commentators alike. Renowned for immersing himself and his teams in the strategic side of the game, Goethals was also a strong proponent of zonal marking and the aggressive pressing so prevalent in today’s modern game. Goethals wasn’t just making a name for himself through his tactics, though. Recognised as much for his wit, one-liners and apparent difficulty in pronouncing most of his players’ names, Goethals proved a popular draw with journalists and fans alike. Speaking in a thick Brussels accent, he was captivating and humorous in interviews and press conferences and seemed to relish generating laughter from his audience. He was also a man who instantly commanded respect, both for his sporting knowledge and domineering persona. A known chain smoker, Goethals’ image as a charismatic and popular figure didn’t detract from his stern management style, which caused conflict with various figures throughout his career. Goethals’ stay with the national team would last a further four years, though they failed to qualify for another major tournament. Belgium did, however, come excruciatingly close to making the 1974 World Cup. Drawn in a group containing the celebrated Netherlands side of Johan Cruyff, Johan Neeskens and Ruud Krol, Goethals’ side matched the Dutch all the way as both teams finished on ten points. The contrast in philosophies proved pivotal. While the more conservative, and admittedly less talented, Belgium finished with a +12 goal difference, the Netherlands’ Totaalvoetbal blew away the opposition and left with them with a huge +22 advantage, helped by a 9-0 humiliation of Norway and an 8-1 thrashing of Iceland. The fact that the Rode Duivels held the Dutch to a 0-0 draw is a respectable achievement in itself, and one Goethals took great personal pride in. But it was not enough to prevent Belgium from becoming the first team to fail to reach the finals despite not conceding a single goal throughout qualifying. While Belgium proved themselves worthy opponents of the Dutch in 1974, two years later Oranje inflicted a crushing defeat that served as the low point in an otherwise successful tenure, and ultimately led to Goethals’ departure from the national team. The teams faced off in the final qualifying round of the 1976 European Championship. A 5-0 defeat in Rotterdam, in which Dutch forward Rob Rensenbrink scored a hat-trick, was followed by a 2-1 home loss, leaving Belgium down and out. Following this, Goethals returned to the domestic league and took on his first major role as manager of Anderlecht, a team whose standout talent was a certain Rensenbrink. The nation’s most successful side had failed to win the league in the previous two seasons, and in his first year Goethals was only able to match the second-place finish of 1975/76. Anderlecht fared better in Europe, though, Goethals leading the club to its first continental success by winning the 1976 European Super Cup. Facing European Cup champions Bayern Munich, Anderlecht lost the first leg 2-1 courtesy of a late Gerd Müller goal. Needing a win in the return tie at the Emile Versé Stadium, the shackles were off and Anderlecht, spearheaded by Rensenbrink, achieved a stunning 4-1 victory to send Franz Beckenbauer, Karl-Heinz Rummenigge and co back to Germany empty-handed. Goethals’ managerial brilliance had finally translated to cold, hard success. Raymond la Science went on to oversee what remains Anderlecht’s most prosperous period in terms of European success. Having lost the 1976/77 Cup Winner’s Cup to Hamburg, his side went one better in the following year’s edition, comprehensively defeating Austria Wien 4-0 courtesy of doubles from Rensenbrink and Gilbert van Binst. This saw Anderlecht qualify for the 1978 Super Cup, where they would face Liverpool. A 3-1 home victory was enough to secure the trophy despite losing the second leg 2-1 at Anfield, as Goethals got the better of Bob Paisley and claimed his second triumph against reigning European champions in as many years. Despite these impressive feats, Goethals was unable to transfer his European pedigree into domestic success. Having finished second to Beveren in the 1978/79 season, Goethals departed Anderlecht and Belgium. A season at Bordeaux was followed by a stint in Brazil with São Paulo before he returned to his homeland and joined Anderlecht’s rivals Standard Liège in 1981. Standard had finished the previous season in third, 15 points behind Anderlecht; Goethals was tasked with overhauling his former club, who in his absence had claimed their first league title in six years. Goethals would do exactly that, Standard edging a tight title race and finishing the season two points above their rivals. The club lost in the Cup Winners’ Cup final to Barcelona, though that disappointment paled into insignificance when compared to their domestic success. Goethals had led Les Rouges to their first title in a decade, achieving personal glory and revenge over his former club in the process. Better yet, he followed this initial success with another league title in his second year, edging Anderlecht by a solitary point in 1983 season. Raymond la Science was a hero – or at least it seemed. Goethals sat upon the throne of Belgian football during his time at Standard, adding two domestic Super Cups to an ever-growing trophy haul. Sadly, his reign was soon to come to an end. In 1984, investigating judge Guy Bellemans, who was carrying out an inquiry into corruption in Belgian football, came across evidence that indicated a bribery scandal involving Goethals and his club. The match in question was the final league fixture of the 1981/82 season against Thor Waterschei. Standard went into the game holding a narrow two-point lead over Anderlecht, and with the final against Barcelona to be played soon after. Through a mixture of desperation to claim his first league title and preserve his squad for the Barcelona game, Goethals himself initiating the bribing of Waterschei players. Members of the Standard squad offered their match bonuses in return for safe passage through the game in a scandal that rocked Belgian football. Standard were allowed to retain their title but received a £75,000 fine. Thirteen players received bans, while Goethals was banned for managing in Belgium for life. This was reduced to two years on appeal and Goethals, forced to resign, fled to Portugal to take up a position at Vitória Guimarães. Despite his reputation being in tatters, Goethals surprisingly, perhaps shockingly, returned to his home country just a year later. He joined second division side Racing Jet Brussels, though worked around the ban by occupying a directorial position. It’s fair to assume, however, that Racing benefitted from the knowledge and experience of a world-class footballing mind, winning promotion in Goethals’ first year at the club. He would then rejoin Anderlecht in a coaching role in 1988 following the end of his ban, and began to rebuild his reputation by helping the club win the Belgian Cup. This was followed by another return to a former club, this time Bordeaux, achieving a second place finish in the 1989/90 Ligue 1. It’s easy to imagine many failing to recover from the shame and career-damaging revelations of the Standard Liège scandal. Yet for the stubborn, confident and highly determined Goethals, this was merely the beginning of a new odyssey that would end with him taking his place at the very top of the ladder of European football. The Wizard’s exploits at Bordeaux were enough to catch the eye of Marseille president Bernard Tapie, and in 1990, at the age of 69, Goethals signed for the ambitious Phocéens. The club had won the previous two league titles and the objective was clear: win the Champions League. Goethals was well equipped for the mission, inheriting a talented squad featuring the likes of Abédi Pelé, Chris Waddle, Jean-Pierre Papin and a young Eric Cantona. The history of Goethals and Cantona is an accurate reflection of how beneath the former’s charismatic and likeable exterior laid an uncompromising, perhaps at times arrogant, managerial sternness. The two shared a predictably tempestuous relationship, and Goethals was particularly fond of telling a story in which Cantona told his coach that he would not sit on the bench. Goethals’ dry response was that if Cantona didn’t want to sit on the bench, he was welcome to sit next to it. It was a clash of personalities that would culminate in Cantona’s departure from Marseille just a year after Goethals’ arrival. Marseille came close to European Cup success in Goethals’ first season in charge, losing the final on penalties to Ljupko Petrović’s famous Red Star Belgrade side. The following season’s performance was more disappointing, Marseille crashing out in the second round on away goals after a 4-4 aggregate draw with Sparta Prague. However, the two Ligue 1 titles won during this time would be enough to earn Tapie’s patience. By the 1992/93 season, Marseille’s already impressive squad had been strengthened further, bankrolled by Tapie’s burning desire for European success. While Waddle, Papin, Canton and others had departed, the expensive acquisitions of the likes Rudi Völler, Marcel Desailly, Fabien Barthez, Alen Bokšić and captain Didier Deschamps meant Goethals had no more room for error. The first season in which the competition was rebranded as the Champions League, Marseille navigated their way past Glentoran and Dinamo Bucharest in the first two rounds to be drawn against Rangers, Club Brugge and CSKA Moscow in the group stage. Goethals’ side drew both games against the Gers, though victories against Brugge and CSKA were enough to secure top spot and send Marseille through to their second European Cup final in three years. Goethals and his team took to the pitch at Munich’s Olympiastadion on 26 May 1993, up against the might of Fabio Capello’s similarly glamorous AC Milan of Paolo Maldini, Franco Baresi, Alessandro Costacurta, Frank Rijkaard and Marco van Basten. Marseille lined-up in a 5-2-3 formation, with French defender Basile Boli occupying the sweeper position. The early portion of the game was a story of missed chances, Bokšić’s profligacy and Barthez’s brilliance contributing in equal measure to the scoreline remaining deadlocked. The pivotal point came in the 43rd minute. A bursting run from Abédi Pelé resulted in a corner for Marseille, which was duly taken by the Ghanaian. The in-swinging cross was glanced in by Boli, past the helpless Sebastiano Rossi, to give Goethals’ side the lead. Despite their abundance of attacking talent, Milan never quite managed to get a foothold on the game in the second half and were unable to find a way past the French club’s staunch defence of Boli, Desailly and Jocelyn Angloma. Les Phocéens became the first, and to date only, French club to win the European Cup. It is said that Goethals, a man generally thought to revel in human companionship, returned alone to his hotel and toasted his crowning achievement by smoking a cigarette on the terrace. While the manager’s celebrations were understated, the victory sent the Marseille players, staff and fans in Munich and the south of France into a state of delirium. Goethals, Tapie and their expensively-assembled squad had secured the club’s place in history. And so Raymond la Science took his seat at the head of the European football table, a truly remarkable rise from the abyss of just a few seasons earlier. His achievements at Les Olympiens won him the Onze d’Or in 1991 and 1993, an award given by French magazine Onze Mondial for European Coach of the Year. Little did people know that shortly after, news would break that would transform the 1993 Champions League victory from the outstanding achievement in French football into one of the European football’s darkest chapters. History was repeating itself. Two weeks after the final, Valenciennes captain Christophe Robert revealed to magistrate Éric de Montgolfier that he had taken part in a match-fixing scandal organised by Bernard Tapie. Marseille were due to play Valenciennes on the final day of the 1992/93 season, with the Milan fixture to be played six days later. Tapie, in collusion with Marseille general manager Jean-Pierre Bernès, organised the bribery through Marseille player Jean-Jacques Eydelie. Eydelie contacted Robert, along with his Valenciennes teammate Jorge Burruchaga, and organised for them to throw the match in order to secure Marseille the title and avoid any injuries going into the Milan game. Valenciennes player Jacques Glassman was also present when the bribe took place, though refused to take part and informed the team’s manager, Boro Primorac, who pressured Robert into admitting his part in the scandal. The revelations sent shockwaves throughout the continent. Marseille were stripped of their league title, relegated to the second tier and banned from the following season’s European competition, though were allowed to retain their tainted Champions League crown. Tapie and Eydelie were imprisoned while Robert, Burruchaga and Bernès were given suspended sentences. Further allegations have also arisen throughout the years. At the time, CSKA coach Gennadi Kostylev claimed that Marseille officials had tried to bribe him when the teams met in the Champions League, though his complaint was withdrawn. Former Rangers striker Mark Hateley has also said that he refused an offer of money by the French club in return for missing a match between the two sides. In 2012, Walter Smith told an interview that he believes his Rangers side were cheated out of a spot in the final, and implied that the CSKA manager privately admitted his team had been illegally influenced by Marseille. Despite the striking similarities to the Belgian scandal a decade earlier, Goethals was not implicated this time. That hasn’t stopped some commentators airing their suspicions, though. Indeed, in some ways Goethals and Tapie were quite similar; both ferociously driven, highly ambitious, outspoken men, willing to risk it all in the pursuit of success. Although he came out of the scandal personally unscathed, the lasting memory of the events leave Goethals’ achievements perennially wandering in a type of footballing purgatory. As with his victories with Standard, it is impossible to wholly see through the fog of corruption and judge the high points of a glittering career in purely sporting terms. What was, on the face of it, a magnificent success is for many observers doomed to be remembered as an unwanted stain on the chronicles of European football. That’s not to say that Goethals’ reputation suffers where it most matters. While the cloud that hangs over his achievements has led to a notable absence among a more general football audience, in his native country and Marseille, Goethals remains an iconic, celebrated figure. 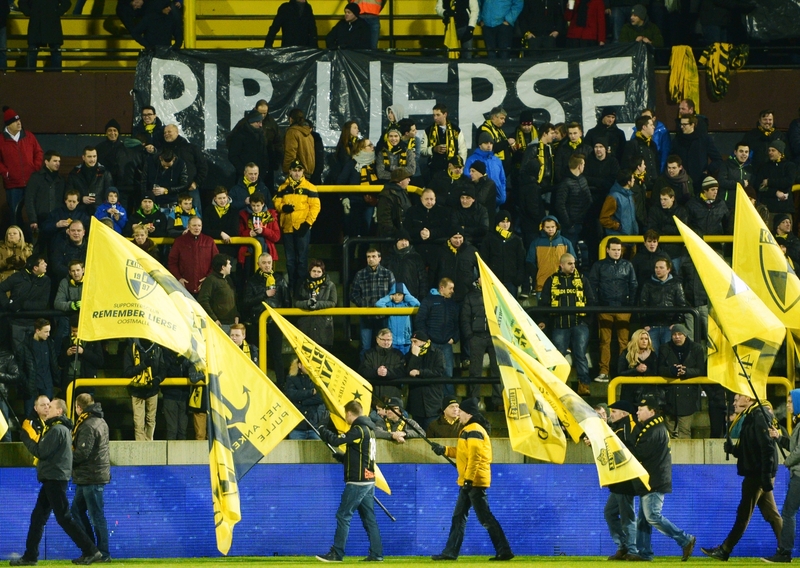 His legacy lives on in Belgium, a stand being named after him in the Edmond Machtens Stadium, the former home to the now dissolved Daring Bruxelles, Goethals’ first club. Into his 70s by 1993, the scandal signalled the end of Goethals all-too-short time at the summit European football. 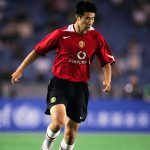 He would return to Anderlecht for one brief hurrah in 1995, after which the curtain was brought down on a career that exists somewhere within the intersect of sporting brilliance and moral corruption. Despite the lessons to be learnt from Goethals’s career being laid clear, modern-day football continues to suffer from corruption. In October 2018, Belgian authorities charged five people in relation to a wide-ranging inquiry into match-fixing and financial fraud in the country’s professional football system. Ivan Leko, the coach of Club Brugge, was arrested, though not charged, while two referees have been suspended and nine clubs raided. Part of the investigation centres on two agents with links to the country’s biggest clubs, including Anderlecht and Standard. The fallout and results of these developments are yet to be seen. What they do show is that the curious career of Raymond Goethals is not just an intriguing tale of the tarnished memory of a man who could have been remembered as a sporting great. More than that, it is a moral warning of the perils of corruption that is as relevant today as it was over three decades ago and, for that reason at least, deserves to be retold.